Why am I not able to record calls? How do I play back a recording? 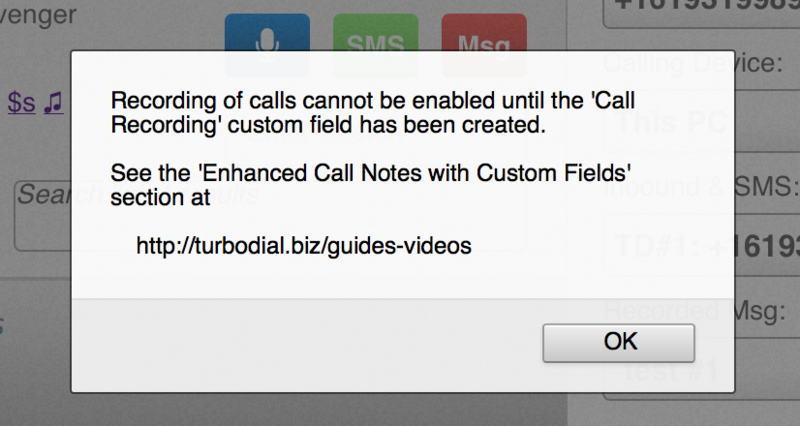 This means you need to add the “Call Recording” custom field to the task/app/note context of your Infusionsoft account. Please see our Guides & Videos on Call Note Records for further instructions on how to set this up. You can playback a recording using the Call Recording custom field on the Note created for that call and attached to the Contact Record. Click the blue arrow on the right side of the Call Recording field on the custom fields tab for the Note Record. For more information on recording calls, please visit our Guides & Videos section for Recording Phone Calls.